Mummy bags have one big problem for me, they’re restrictive. They hold my arms down, and prevent me from moving around naturally when I’m inside. 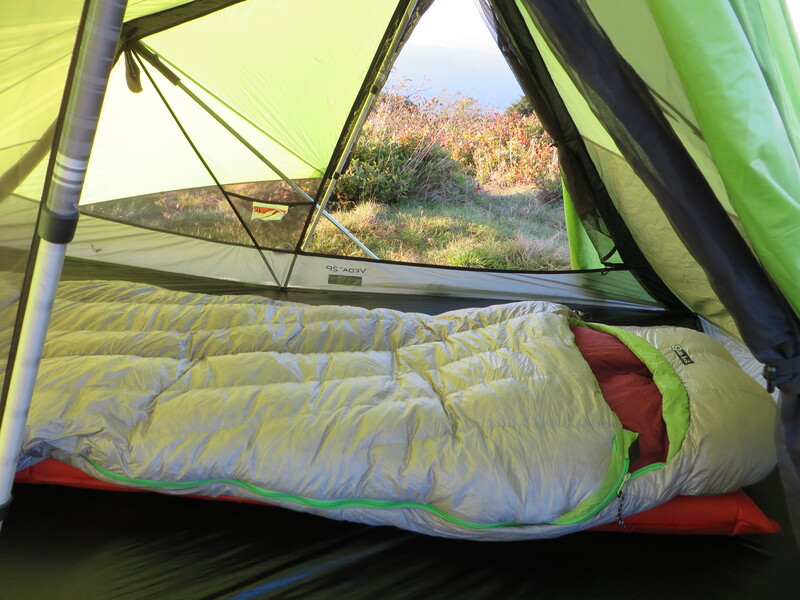 The Nemo Nocturne sleeping bag was designed to give you that freedom back. The Nocturne 15 has a new “spoon” design that flares out at the shoulders and the hips to give more freedom of movement where you need it. This allows the sleeper to curl up, and move their arms around freely. There is a small quilt like neck draft collar that flips out, and simulates a comforter. Draft collars line the zippers to prevent drafts and help reduce the chances of getting a zipper snag. It’s built from light weight 15D ripstop nylon, and has a DWR (waterproofing) finish on the shell. The foot box uses a 15D “Osmo” material, which is a breathable, but more resistant fabric. The linings are a thicker and softer 30D nylon Taffeta, also with a DWR treatment. Down fill is a very light weight 700 fill Power Down, treated with Downtek to apply water proofing to the down itself. The sleeping bag weighs 2 lbs, 6 oz by itself, and has 20 oz of fill weight. It’s rated at 15F/ -9C, and retails for 379.95. The sleeping bags is very comfortable. The materials feel silky against the skin, without developing a clammy feel when the air is full of moisture. The widened hips and shoulders provide a lot of freedom to curl up, move around, and shift into a comfortable position. I move around a lot in my sleeping bag at night (I actually ended up facing the bottom of the sleeping bag at one point) but I never found myself in a bind or feeling trapped. The neck collar adds just enough of that still in my bed sensation and adjust-ability to let me regulate drafts and heating. It also feels nice to be snuggled up against, providing a bit of creature comfort during the night. The sleeping bag material does a good job of resisting moisture. On a cold wet night in the 30’s, the inside of my tent was completely wet, dripping water and spraying mist all over during a storm. 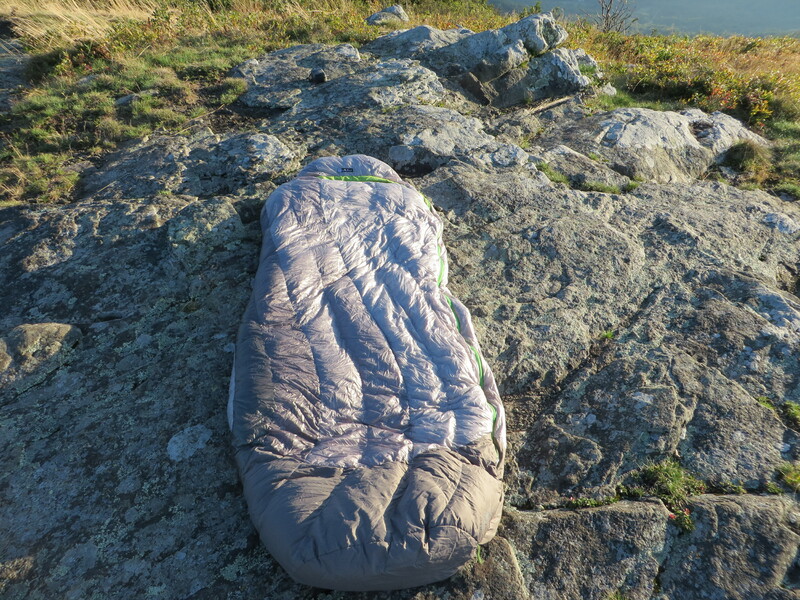 The sleeping bag never flatted out, and kept me blissfully unaware of my watery issues until I saw it the next morning. 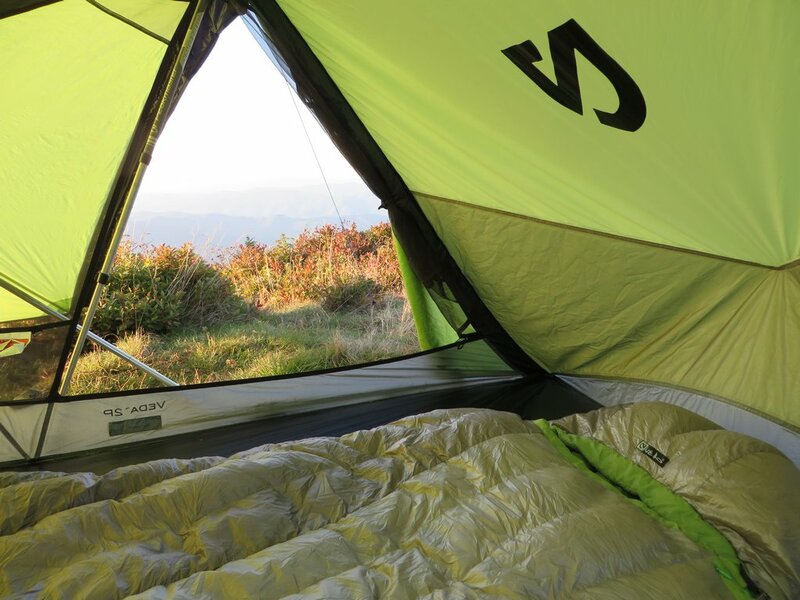 The Downtek down does a great job of keeping loft when the sleeping bag is wet. It also dries fairly quickly. There is ample room in the foot box, paired with a good amount of lofty insulation to keep the feet toasty. A second zipper allows for foot venting and heat regulation. The zippers themselves slide easily while rarely snagging. The zippers slide smoothly down the sleeping bag when you need them too, but I never had a zipper work it’s way down without my permission. The sleeping bag regulates very well on warmer nights . I was able to stay comfortable all the way up into the 40’s without overheating or becoming sweaty. Using the zippered vents along the foot and partially unzipping the top, I was very much content even in warmer weather, which is unusual for me with a warmer bag. The DWR finish did eventually let some water soak into the outer shell, but without it I have a feeling I would have been quite wet. The loft seemed absolutely unaffected. The widened mummy design does loose some heat efficiency. I’m a bit reluctant to call this a true 15 degree bag if you’re a cool sleeper. The women’s models do not come in long varieties. 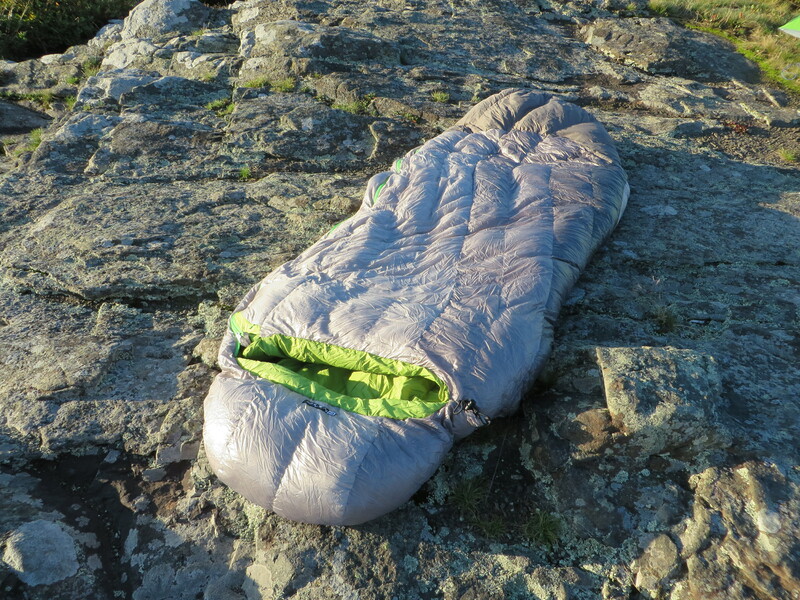 The sleeping bag is an ultralight sleeping bag, and this is obtained by using thin materials on the outside. I can’t recommend dragging it out on rock faces unprotected, as it could damage the outer shell over time. Not a con, just something you should be aware of if you like to cowboy camp. Nature of the beast. 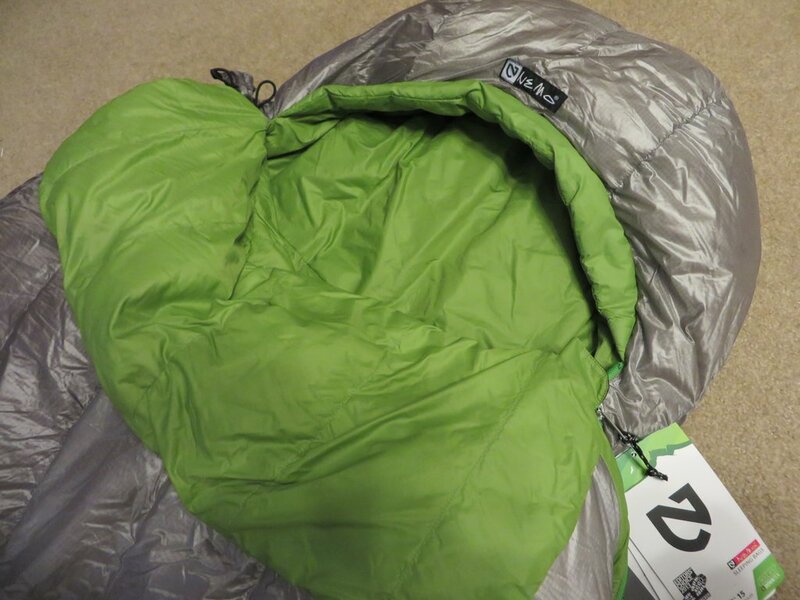 Our female testers chose the men’s sleeping bag for the extra length. 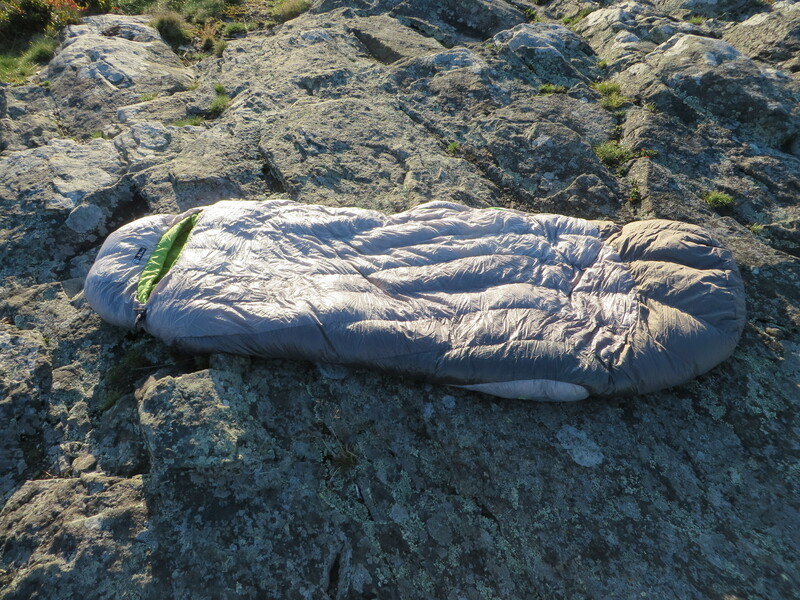 Despite being designed for men, the sleeping bag still provided ample warmth and comfort. So if you’re a tall lady, you may want to consider the men’s bag as a viable option. Tester was impressed with the loft and freedom of movement, and very much enjoyed the comforting mini quilt along the neck. The Nemo Nocturne is a sleeping bag designed for those who don’t stay in one position while they sleep, and I have a feeling that fits most people. The extra width is provided in all the right places, while still providing most of the weight and warmth benefits from a mummy sleeping bag. It’s light weight, and resists even the humid and wet East Coast conditions I subject gear too, and thus makes for a sleeping bag that you can use anywhere. A well regulating and light weight, but warm sleeping bag that also allows for freedom of movement is hard to find. I can’t find any reason to not suggest this as a sleeping bag for everyone. Dressing for Winter Hiking. Layering explained. You wrote: “the inside of my tent was completely wet, dripping water and spraying mist all over” Which tent? I think it was marmot hammer 2p. Not a tent that can handle east coast conditions.